Buy your expo tickets now and save! 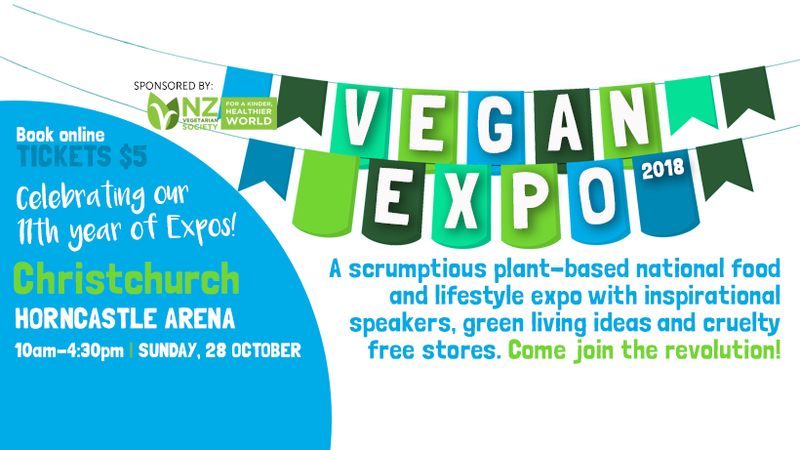 Tickets to this year’s Vegan Expo are available online now for only $5 each – meaning you’ll save $1 off the price on the door and beat the queues. This year’s expo is happening at Christchurch’s biggest indoor venue (Horncastle) so there’ll be plenty of free parking right on site, as well as more stalls and more food. Kids under 13 can enter for free – so make it a day out for the whole family.